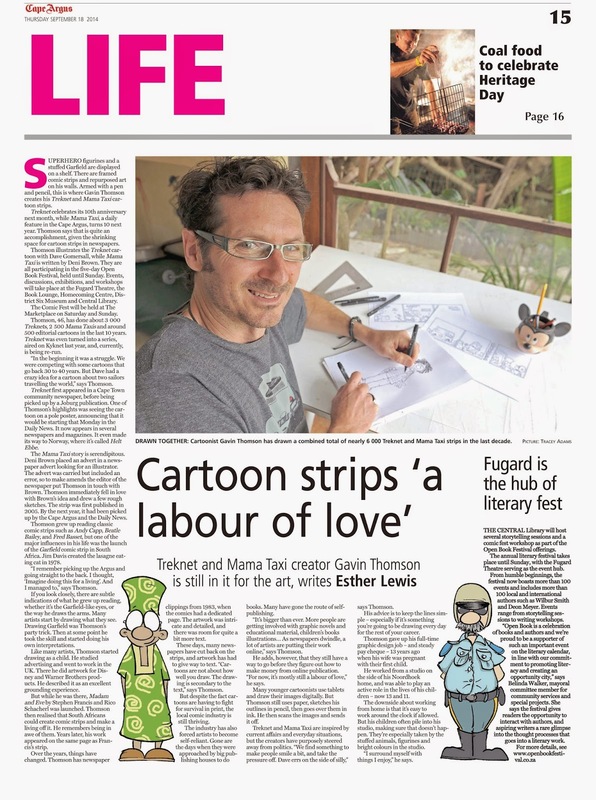 Article from the Cape Argus. I used to draw them a lot as a child. 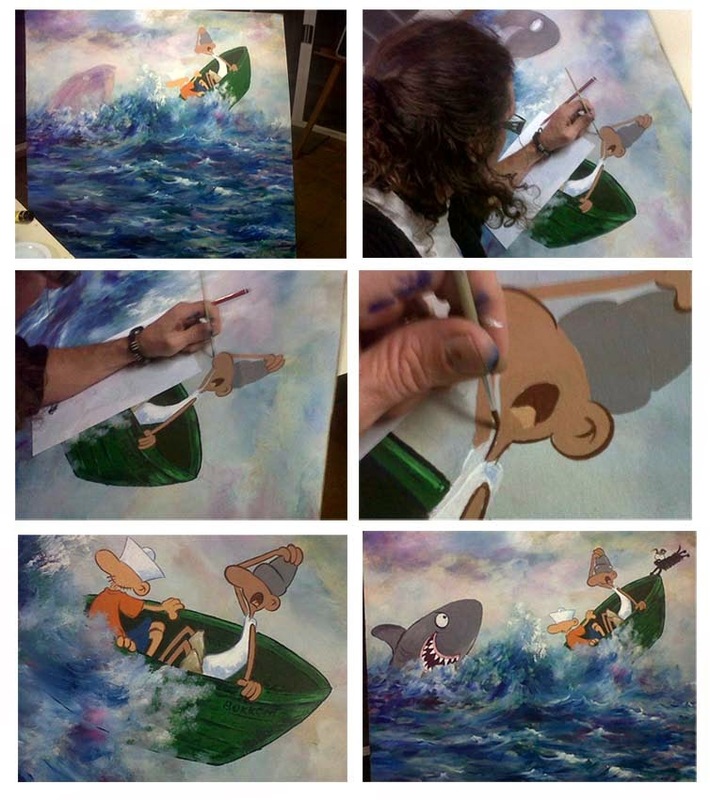 I think I was originally inspired by the cartoons in The Corner Surf Shop Muizenberg. 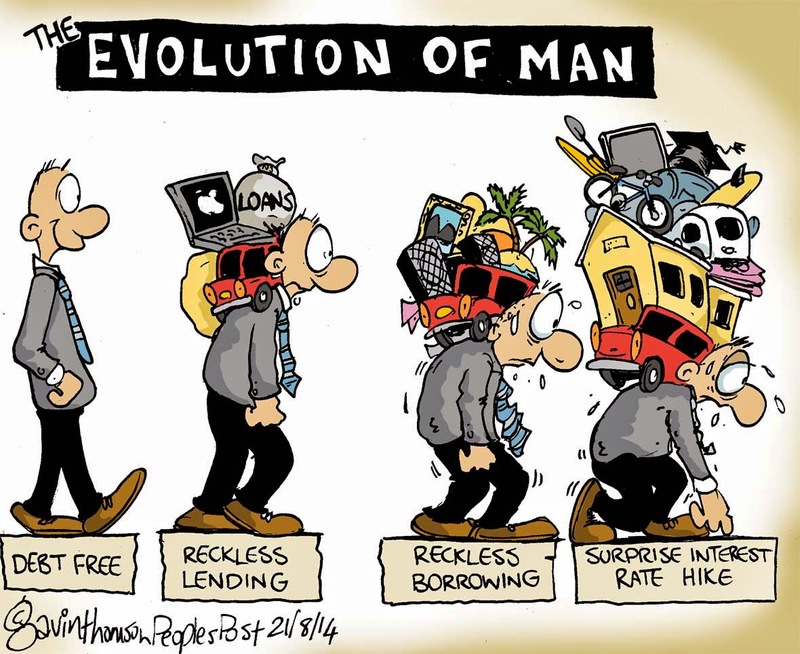 The burden of modern man. 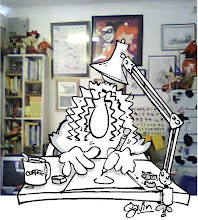 Something silly for this weeks People's Post cartoon. 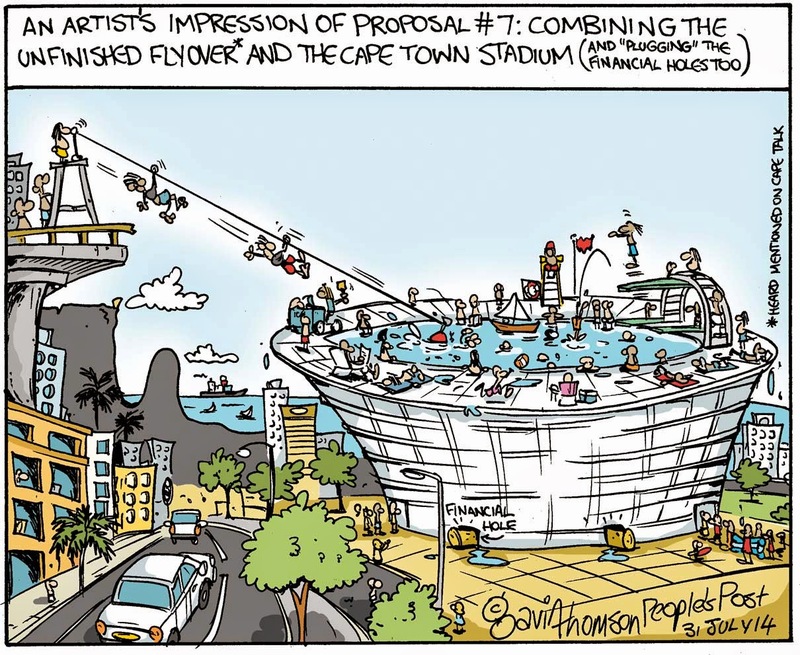 A new proposal for the Cape Town stadium which incorporates the unfinished Freeway at the same time. With all the rain we've had recently, we'd just need to plug the exits and wait for nature to do the rest. Great opportunities for scuba driving too. 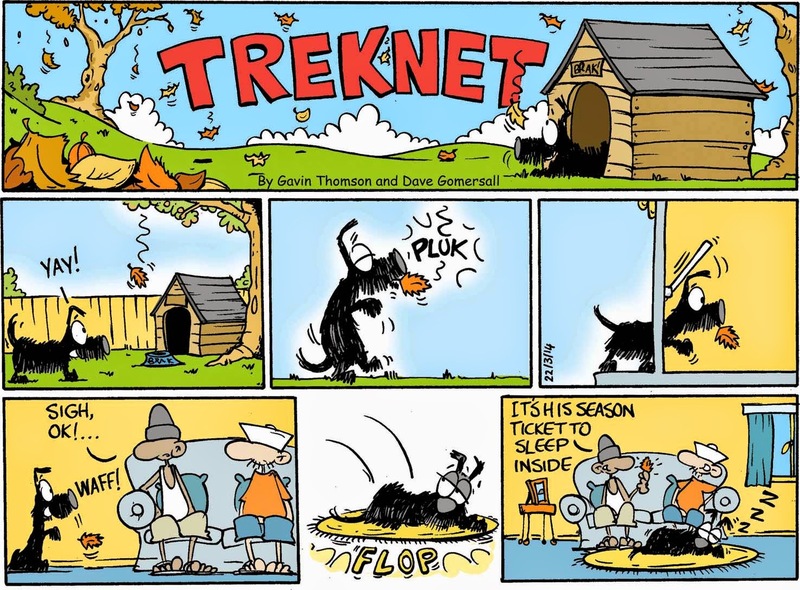 Here's a selection of Treknet strips from the last week or so. For daily updates, "Like" our Facebook page, The Official Treknet Fan Club. Here's a selection of Mama Taxi strips from this week. 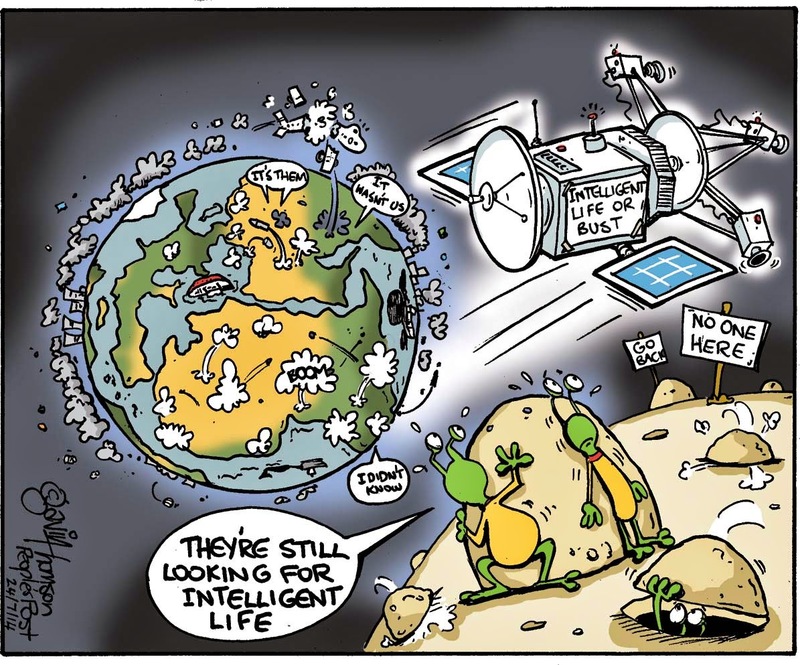 Ever wondered why we haven't been able to find any signs of life out there? Today's People's Post cartoon inspired by the amazing work going on in Pelican Park this week. 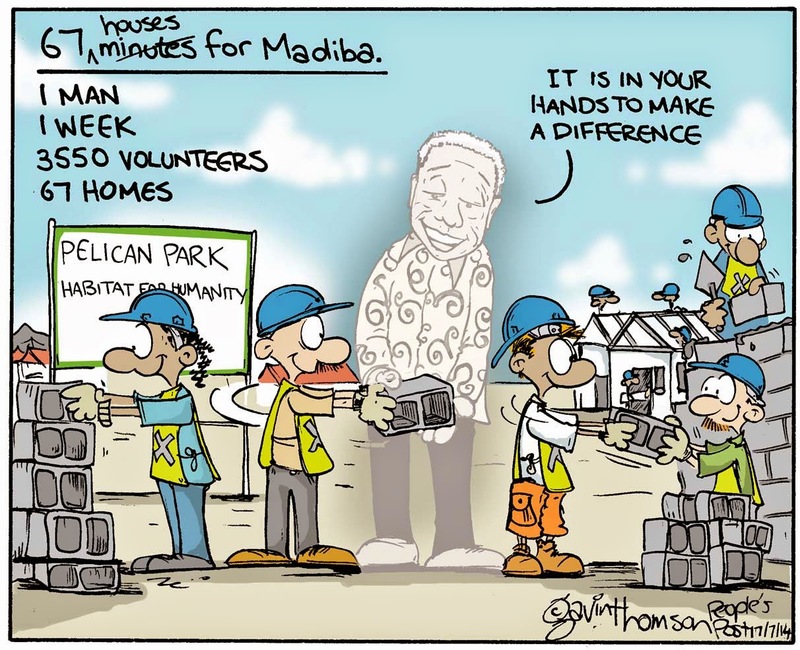 A collaboration between the City of Cape Town, Habitat for Humanity and Power Construction, the goal: to build at least 67 houses in one week ahead of Nelson Mandela International Day on Friday. Whatever blows your 'herr' back. Germany blast their way "straight" into the final. Difficult to find a new angle (literally) for another cartoon on strikes. 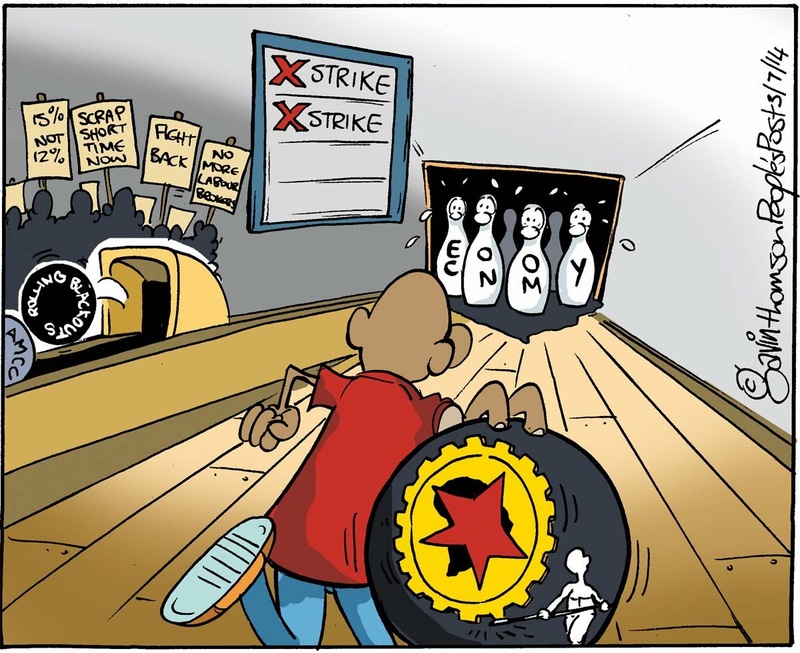 At the time, Eskom barred Numsa (National Union of Metalworkers) members from striking, although the strike could still have a knock on effect and lead to more rolling blackouts for the country in the future. South Africa's petrol price went up by 29c and 31c yesterday. I could have filled the tank a few times on this when my Beetle was new in 1972. 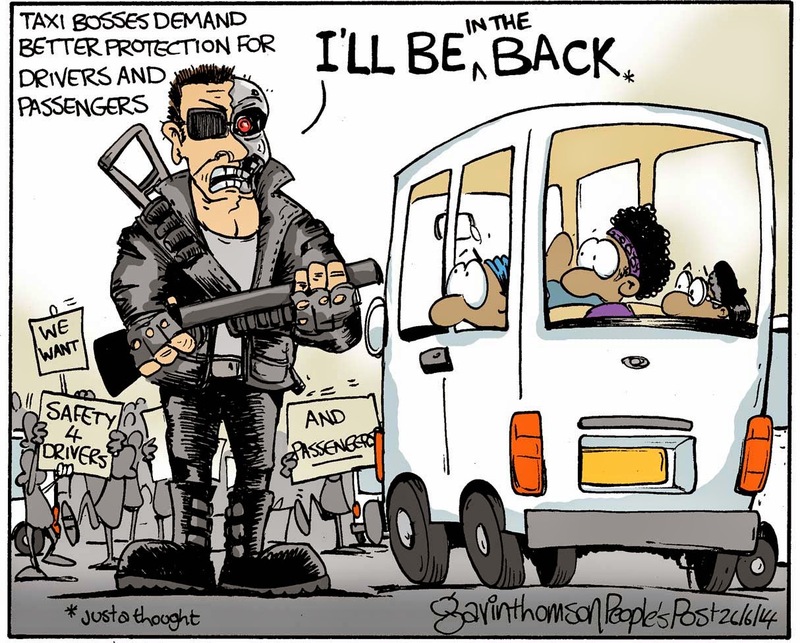 A Cape Town Taxi organisation went on strike this week demanding better protection for their driver and passengers. Here's a thought....30 years since the release of the first Terminator movies, maybe old Arnold can help out. 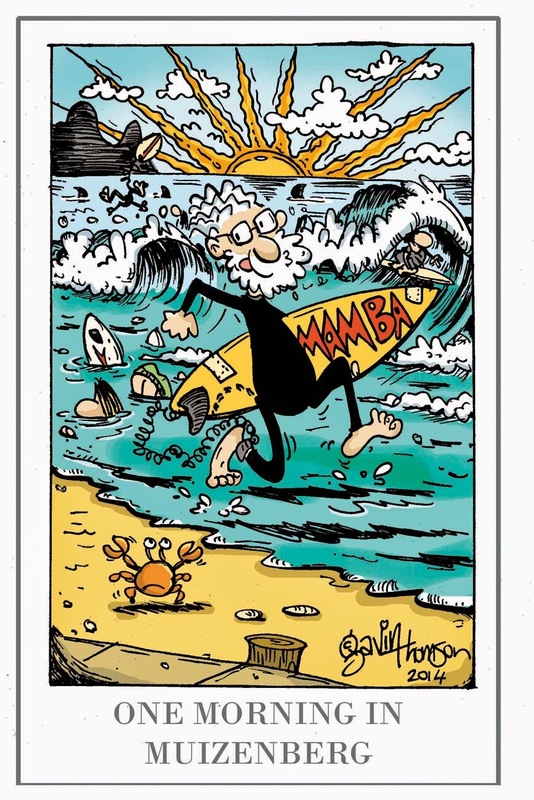 Today's Ripples cartoon for Dockwalk magazine. For more Mama Taxi strips, go to www.mamataxi.co.za or like us on on Facebook. 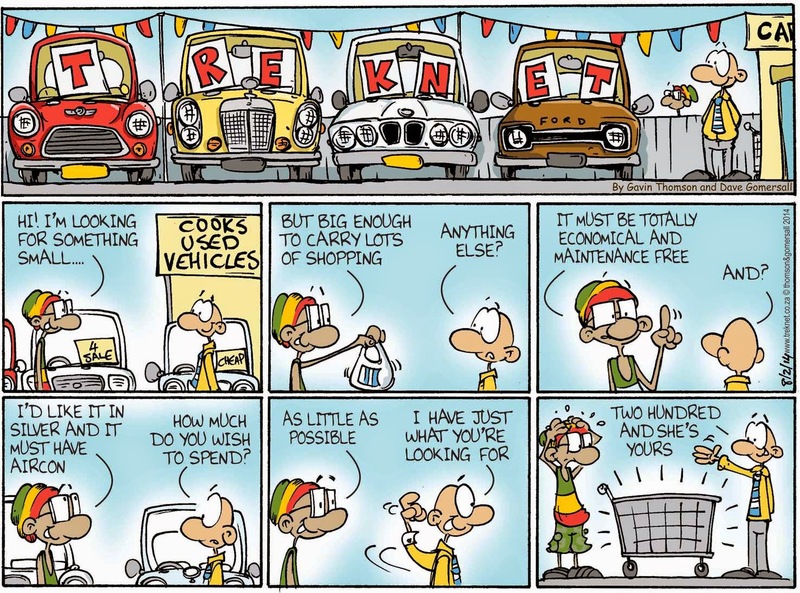 Today's Mama Taxi strip. Winter is officially here. Hundreds of families were evicted form their homes in the Lwandle informal settlement in Strand, in one of the wettest weeks this year.The residents had been occupying private land earmarked for a special project along the N2. As seen in The Big Issue Cape Town. Winter is finally making it's way to Cape Town. 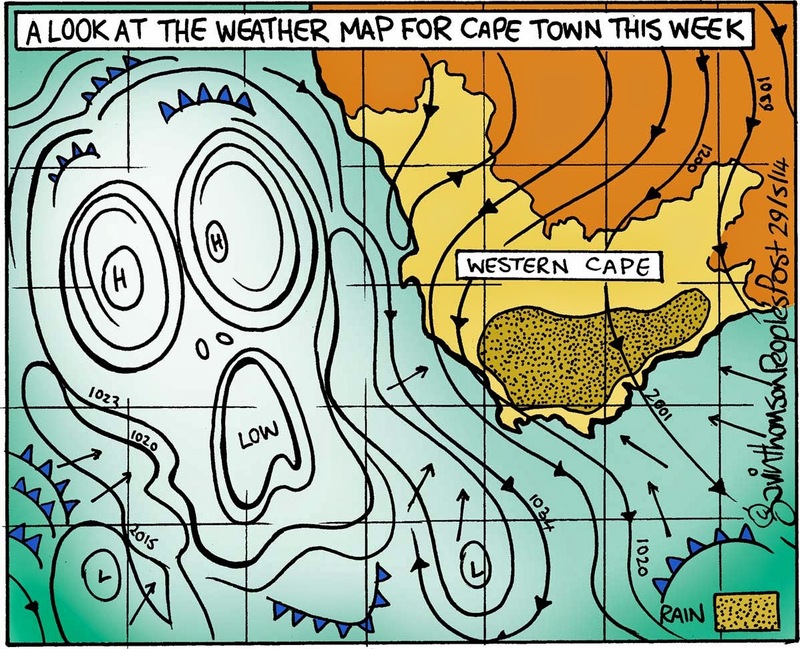 I actually did think I saw the famous Edvard Munch image in a weather map once. Mama Taxi﻿ tries out the Boomslang at Kirstenbosch National Botanical Garden﻿. Looking for something small, affordable, economical and maintenance free in silver? From The Saturday Star and The Big Issue magazine. 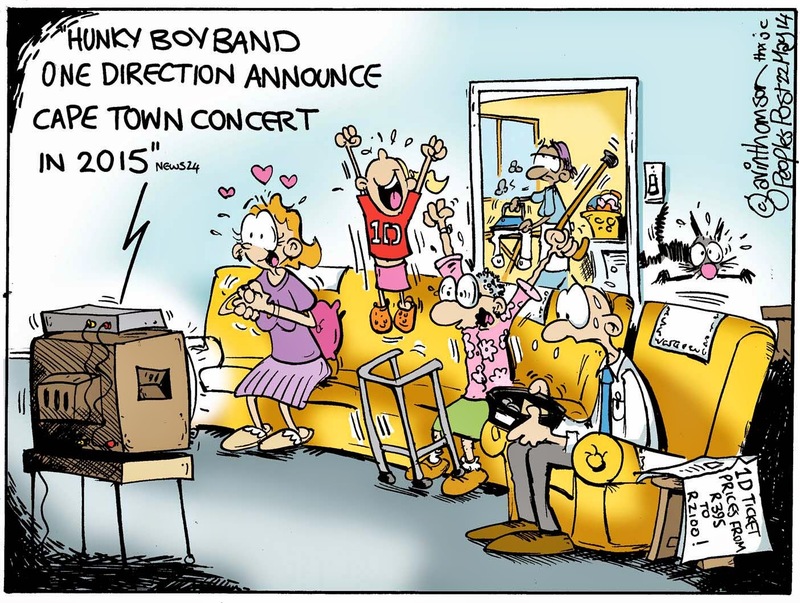 Not everyone is happy about the announcement of One Direction coming to Cape Town next year. Ticket prices will start at R350 and go up to R 2100 for "hot ticket". 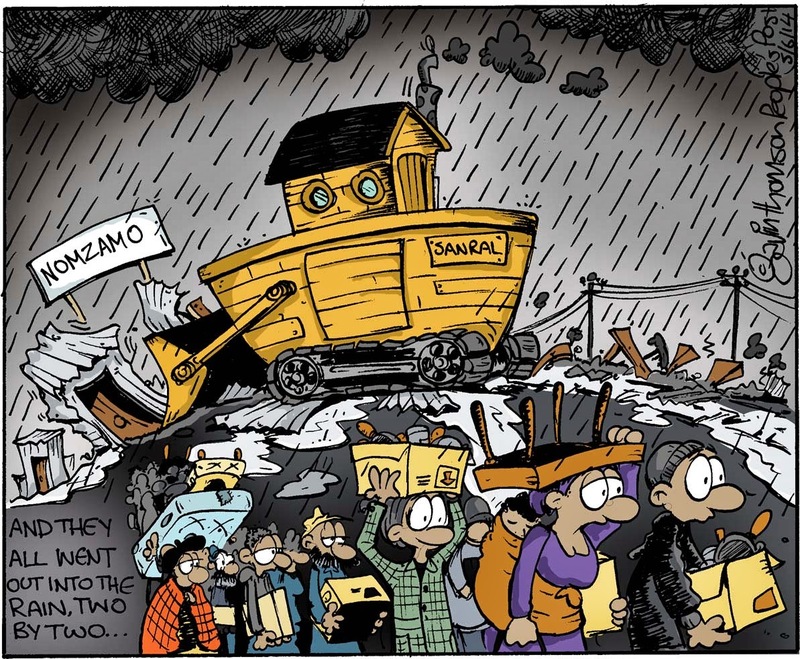 This weeks editorial cartoon for the People's Post and now the City Vision. 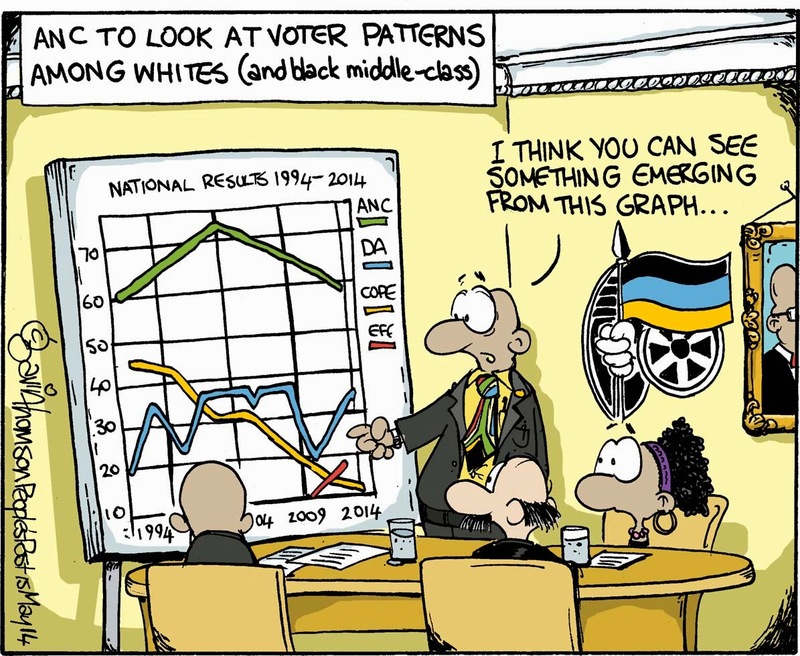 The DA (still largely considered by many as a 'white' party) again, obtained an outright majority in the Western Cape and City of Cape Town in last week's general elections. Voting day in South Africa today and John is casting his for the first time. Ripples written by Dave Gomersall and illustrated by myself for Dockwalk magazine in the USA. 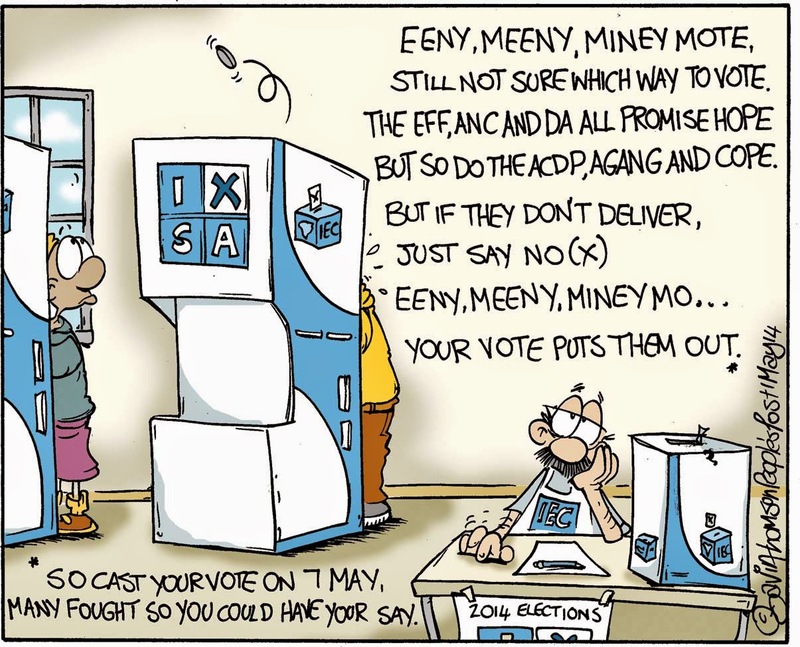 With only 5 days to go to the National and Provincial Elections on the 7th May, many voters are still undecided. 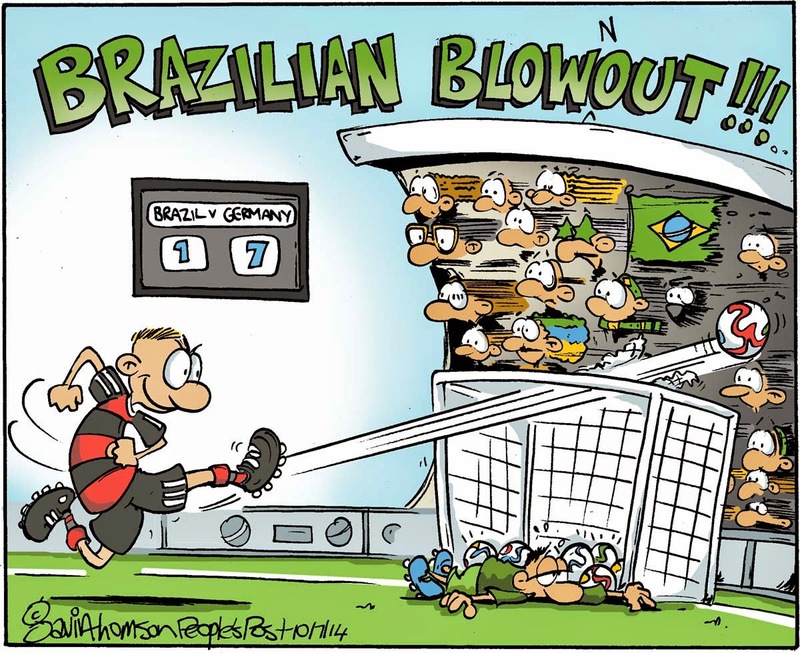 This weeks People's Post cartoon.